Wanna know if you're missing residual money?! Me too! Last year I discovered $1800 in residual payments that were somehow lost in the SAG-AFTRA system! I only caught it because I had a system in place to track what was coming in. I spent the last couple of years refining my system to make my bookkeeping a breeze and now I'm sharing it with you! SAVE THE HEADACHE AT TAX TIME! Ever wonder if you've received all your W-2s? How much commission you've paid out? 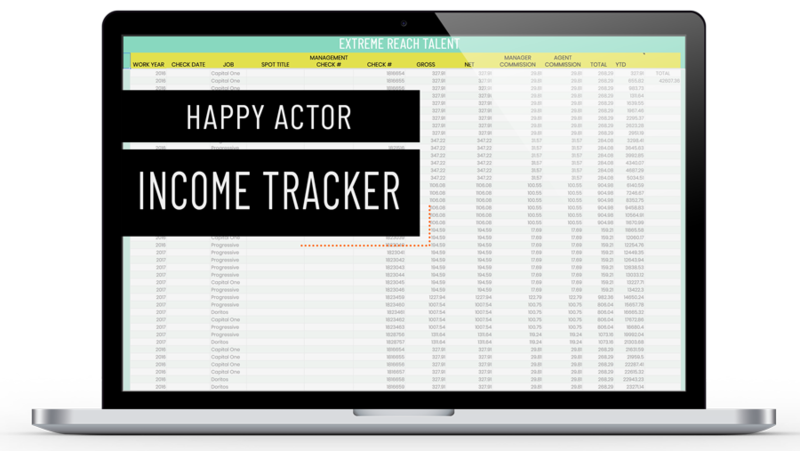 With this income tracker, that info will be right at your fingertips in one easy place! I've tried Quickbooks and it turned out to be too much of a headache - not to mention another monthly expense! Who needs that? Seeing your total income for the year, at a glance. Ability to track payroll companies separately and know which W-2s you're waiting for. Find missing payments by matching your records to the check stubs. Instant visual alerts when incorrect commission amounts have been deducted. Instant calculations for Gross Income, Net Income, and Agent/Manager Commissions to make filing taxes easy-squeezy! A friendly tutorial about how to use it! GET INSTANT ACCESS TO FINANCIAL BREEZY-NESS! When you sign up, you'll instantly receive a link to the Income Tracker as well as a tutorial walking you through how to use it! Counting all those residuals should be fun, not icky. Let this tracker do the heavy lifting so you can sit back and watch the money roll in. Copyright 2019 Happy Actors all rights reserved. 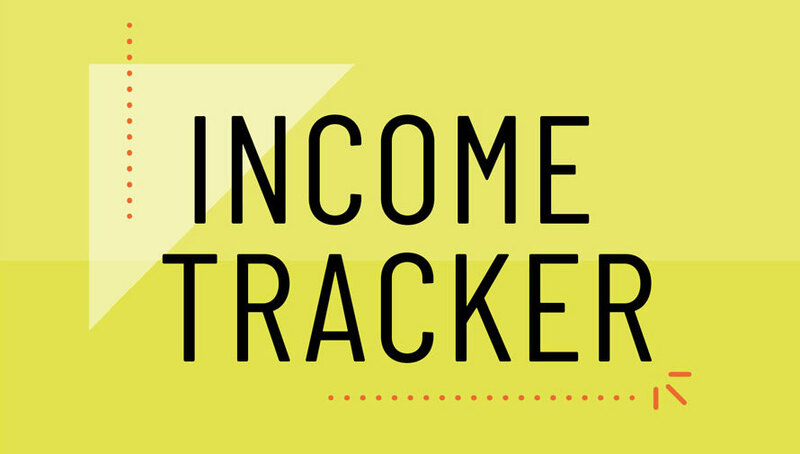 Your Income Tracker is on its way to your inbox. Be sure to check your spam and promo folders and drag the email to your inbox, so you never miss a thang!